The County Council met Tuesday, April 3, and considered several legislative items. Following a public hearing, the Council voted to approve appointments to the Prince George’s County Commission for Individuals with Disabilities. Congratulations Veronica Davila-Steele; Maher Kharma; Raymond M. Rayson; Marja L. Reed; Lynda S. Taylor; Eugene “Tony” Langbehn; Raymond C. Smith; the Rev. Gloria Swieringa; and Andrea F. Toney-Thomas, Esq.! This is important work. We appreciate your service. COUNCIL APPROVES RESOLUTION HONORING LEGACY OF THE REV. DR. MARTIN LUTHER KING, JR. The Prince George’s County Council unanimously approved CR-22-2018, a resolution honoring the legacy of the Rev. Dr. Martin Luther King, Jr.; commemorating the 50th Anniversary of the assassination of Dr. King on April 4th; and reaffirming Prince George’s County’s continuing dedication to equality and diversity. Chair Glaros took a Point of Personal Privilege before Council consideration of the resolution to read a statement in tribute to Dr. King. The Council also passed CR-21-2018, a resolution to express policy support for the First and Main Coalition’s full Blueprint of strategies in order to protect, improve, and create federal programs that provide necessary resources that promote the prosperity of our communities in Prince George’s County. 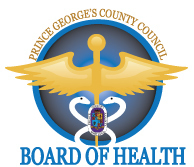 The Prince George’s County Council, meeting as the Board of Health, received a briefing from its consultant, Joseph Wright, MD, MPH, on “Health Sector Development in South County: The Medical Pavilion at National Harbor.” Dr. Wright led the 2018 County Health Rankings presentation and partnered with Council Policy and Budget Analyst Anya Makarova, for a discussion of Parameters for the Health and Human Services Needs Assessment Study. The County’s Deputy Health Officer, Ernest Carter, MD, PhD, briefed the Council on the “Chesapeake Regional Information System for Our Patients” or CRISP. The Council’s Planning, Zoning and Economic Development Committee met Wednesday, April 4, to consider legislation relocating a food truck hub designated area. PZED also considered a resolution transferring M-NCPPC recreation funds. The Prince George’s County Council’s Comprehensive Housing Strategy, Ad-Hoc Housing Subcommittee, met Thursday, April 5. Find out more about the subcommittee’s work. Food Truck Hubs, established by legislation and defined by County law, are outdoor areas designated by the Prince George's County Department of Permitting, Inspections and Enforcement (DPIE) where two or more mobile units can sell freshly prepared foods, fresh fruits and vegetables. The Food Truck Hub Oversight Committee met on Friday, April 6. More than a hundred residents attended the 8th Annual State of District 8 Community Meeting featuring updates from District 8 Council Member Obie Patterson, as well as presentations from County agencies and utilities. Blueprints and construction plans for upcoming District 8 projects, including the Giant Food Store at Livingston Square, Top Golf and the U.S. Citizenship and Immigration Services headquarters were displayed. Many Council Members are holding community meetings during budget season. Connect with your Council Member to find out more.